format to economize and accelerate the production process. $250.00 charge to convert the ad to the appropriate electronic format. rates, conditions and space units are subject to change with written notice. Book Trim Size: 8 1/2" x 11"
WILDERNESS MEDICINE: A publication by the Wilderness Medical Society serving the medical interests of the outdoor and wilderness community. 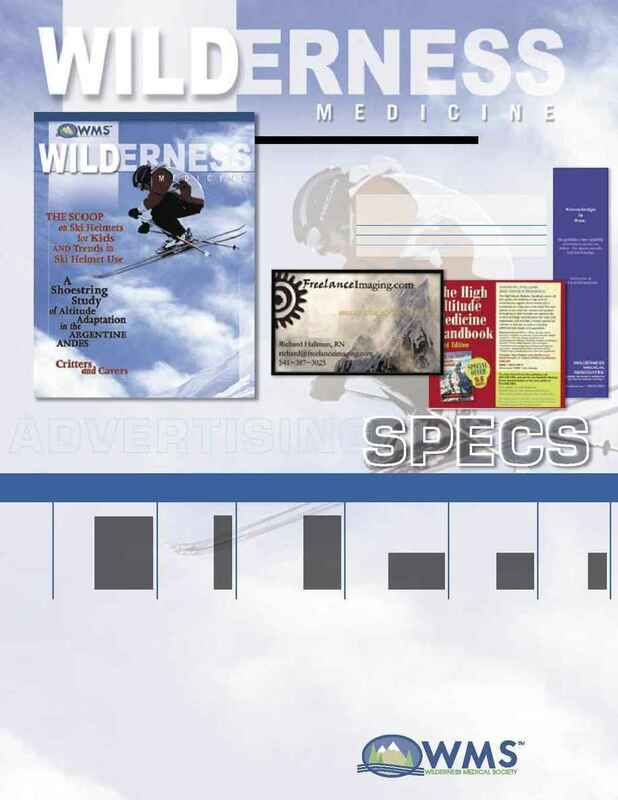 A magazine by the Wilderness Medical Society serving the medical interests of the outdoor and wilderness community.